Would you like a bribe with your wine? “Your vehicle registration is expired. See here? It should say 2012.” The officer at the road block held the green plasticized registration card at a distance, far enough so I could not make out the numbers, his thumb indicating the expired date. This was our fifth road block during the past several days and no one had mentioned the card was expired. I didn’t ask to see the date in question. It didn’t occur to me that he was lying, making the whole thing up. His next move was to distract me away from the actual fabrication, to the consequence. “I am going to have to fine you. This car is a danger to others.” Fine me, I thought, this can’t be. Rather than pursuing whether the registration was indeed expired, we were conveniently engaged in a debate over how much I was too pay. He had me. I fell for the ploy and it wasn’t until we were driving away that Jenny pointed out that the card was indeed valid until 2020. He had fabricated an infraction, where one did not exist. When we arrived at the check point, he had begun by asking me how the kids were behaving, were we on vacation? He was gaining our trust with small talk, while feeling us out. Where are you from? “The United States,” I replied. “All of you?” he asked, looking further into the car, making eye contact with Jenny. “Yes,” she replied. He needed to verify who he was going up against before casting his net. “How much do you intend to fine me?”, I asked. “900 pesos (about $200)”, he replied. I immediately explained that I didn’t have that kind of cash on hand and there was no way I could pay it. The actual amount of the fine was not as important as was convincing me that he had a legitimate right to fine me. I hadn’t done my homework, I didn’t know that Argentine police cannot collect a fine on the spot, in cash. At that moment, all I knew was that I simply needed to avoid paying the fine. He walked away from the car and appeared to consult a fellow officer. Returning to the car, he said he would not fine me but that he expected a “colaboración”, which is a euphemism for a bribe. Because I believed at that moment that he was letting me off the hook, saving me some $200 dollars, I felt I couldn’t just give him a dollar or two. I gave him $10. (I am strongly against the idea of paying bribes, why had I so easily done so? I wasn’t thinking clearly, I had panicked.) He pocketed the money, and we drove off. Only then did we understand what exactly had happened. A police officer had lied to us, threatened to fine us, and then extracted a bribe. I felt burned. Foolish for having fallen for the ploy. I wanted to go back and get into it. Jenny wisely said, “if his plan hadn’t worked, he would have found some other way to get money out of you. Let’s just drop it. It’s ten dollars.” Pride. I have since discovered that police corruption in Argentina has been a problem for decades. On the Web I read several travelers’ stories, many of which were far worse than ours, where the $200 fine was actually paid, and officers verbally berated and threatened drivers. A while back, we read an article about levels of corruption, in which Chile was listed as the least corrupt country in Latin America. But Argentina, well, it’s a different story here. One writer suggested that corruption goes back at least to the end of the last dictatorship, when the new civilian government did not have the clout to control the police. Another offered up the fact that during and after the numerous financial crises, with very high unemployment rates, being a cop was a way to get by, to serve yourself, rather than others. Corruption is an insidious part of many countries, in which citizens must navigate, negotiate, and grease the palms of public servants in order to get basic goods, documents, services, and even jobs. Our experience at the road block pales in comparison to what many Argentines have had to deal with and what many average citizens around the world must deal with. 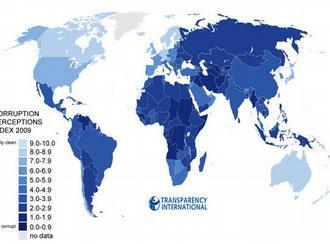 Why is corruption a significant feature of some countries and not others? The colonial and post-colonial experience in many countries has, I believe, a lot to do with this, as do the disparities in wealth and the nature of the economy in a given country. Our experience certainly makes me appreciate the lack of corruption in our everyday lives in the United States. 4 Responses to Would you like a bribe with your wine? I had a similar experience in Mexico, which led me to start carrying two wallets while traveling. The second wallet has my expired license, an old credit card and a small amount of U.S. and local cash. Years later, while driving in Argentina from Cafayate to Salta some police waved for me to stop, and I started reaching for the fake wallet. They kindly reminded me to turn my headlights and sent me on my way. In many poor countries bribes are the way police officers make money and why they like to be stationed near borders even though it is far from their homes. ” I hadn’t done my homework, I didn’t know that Argentine police cannot collect a fine on the spot, in cash.” – comom guys – what country in the world has such a rule? And a “collaboration” is a polite request for a few pesos, independent from a bribe. Argentina is not fixed yet, but if you think it is bad now, you would have not survived 30 years ago here. And how are you not going to check the 2012/2020 expiration date in the moment? Errors lead to chaos. Interesting map. I like the “perceived” title. I often say that the rest of the world has corruption that is under the table. In the USA, we are corrupt over the table and in full view. When you can purchase an election or better yet a legislator (hopefully chair of a committee) then that is, in my opinion, corruption. And that is what you can do in this country. On another note, Jon, did you see the news of the ex-Argentian dictator admitting to a policy of the “disappeared”? Just read that today.